Lip balm that dries your lips? This counterproductive oxymoron is more common than we might think. It’s an unfortunate truth that affects millions of users, across various lip balm brands. Most brands boast of their ability to provide our lips with unparalleled moisture, and protection from the sun and other elements. The reality is, many brands provide the opposite. I didn’t have brand loyalty, and I would often purchase lip balm out of convenience and cost effectiveness. Branching out and using a variety of lip balm brands opened my eyes to the difference in severity of lip dryness. Discontinued use of certain brands seemed to leave my lips worse than before I began use. 10 Solutions for Rough, Dry, Overworked Hands—Male or Female! Why does chapstick dry your lips? There are a large number of additives in lip balms that have an adverse affect on our quest for lip moisture. These are a few of the more common additives. Along with skin irritation leading to dryness, BHA has also been found to affect our health. BHA studies have shown it to have effects on blood and circulation (depending on amount ingested). These can be irritants to the skin, causing allergic reactions and dryness. Chemical sunscreens absorb into the skin, rather than sit on the skin and provide sun protection. Always check the labels for natural sunscreens in your lip balm. Similar to flavoring, fragrance can also have the same effects on the skin. Watch out for menthol, the alcohol provided from peppermint. These preservatives work well at combating bacteria that may otherwise reduce the shelf life of your chosen lip balm. 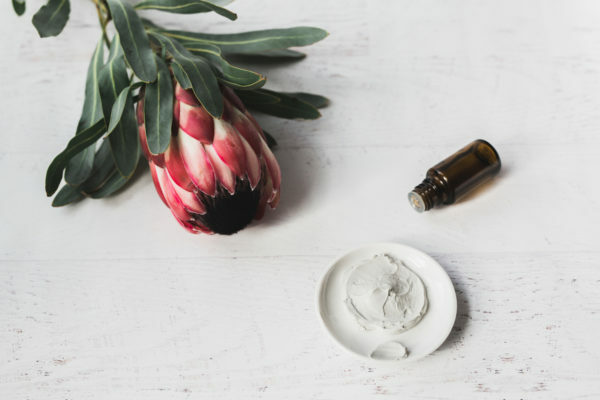 But depending on the type of used (propyl, methyl, butyl, etc), they can dry out your lips and work against the moisturizing agents in the lip balm. Look out for words like Benzocaine, Camphor, Salicylic Acid, and Phenol. These are used to soothe the pain caused by sores and other minor oral injuries. Prolonged use can cause skin irritation and dryness in adults. However, benzocaine is a chemical that, depending on amount ingested, can cause health issues in young children. The FDA provided a consumer warning earlier this year. Synthetic colors have been problematic for some time, yet are still being used. Side effects include skin irritation, allergies, and health issues. While the number of synthetic colors used in lip balms are expansive, it's best to avoid them all together. I know I have listed “depending on amount ingested” a few times in this article. Obviously we aren’t eating our lip balms like snacks. But we go absorb and ingest these products through our skin and simply by licking our lips. So how do we avoid these drying ingredients? A foolproof way to make sure you're using chapstick made with quality ingredients is to make your own! If you are unfamiliar with candelilla wax, it is a derived from the leaves of a species of flowering plant called, Euphorbia antisyphilitica It is native to parts of Texas, southern New Mexico, and various parts of Mexico. This is a great vegan alternative with a consistency comparable to beeswax. Like beeswax, candelilla wax is a great at locking in moisture and creating a protective barrier for your skin. If you are not vegan, or don’t mind the non-vegan option, you can substitute beeswax for this recipe if it is more easily accessible. Cocoa butter helps improve the appearance of skin elasticity and skin tone. It works to hydrate and moisturize the skin. Coconut oil is one of our favorites for soothing and maintaining moisture. The key to melting and mixing your ingredients is using a double boiler. If you don't have one, don't worry! It's easy to create one. Just fill the pot halfway with water and place the coffee mug or bowl inside. Make sure the mug or bowl is able to fit inside the pot without the water overflowing. Once you have verified the mug or bowl fits in the pot, remove it and turn on the heat to boil the water. While waiting for the water to boil, combine all of the ingredients into the mug or bowl. Once the water has reached a boil, turn off the heat and place the bowl into the pot. Be sure to use oven mitts and tongs(if necessary) when adding the bowl to the pot. Once all of the ingredients have melted, use a metal spoon to stir the ingredients. After stirring, carefully remove the bowl from the pot and use your funnel to pour the liquid into the lip balm tubes. Once the tubes are all filled, place the caps on the tubes and place into the refrigerator to cool. Once they have chilled, they will become a soft solid and ready for use. Please note a 1:5 – 1:6 ratio of Camellia wax to oil when created your own recipes. It’s a good idea to experiment with ratios to create your desired consistency. Have you struggled with chapstick drying your lips, or experimented with making your own? Share your experience in the comments below.